I tell you what, my iPhone has changed my blogging life. I used to be one of those people who was dead set against ever owning one but eventually the need for a decent phone camera caught up with me and I bit the bullet, never to look back. One of the other benefits is the huge range of apps. I know a lot are also available on Android but, for me, the variety and quality is much better with an iPhone. Since there is such an insane quantity of apps available, many of which can help with blogging, it can be difficult to know which are worth the effort. 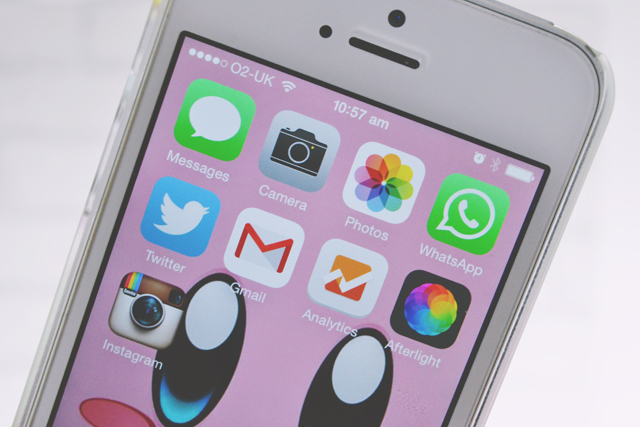 To make it a little bit easier, I've written a list of my favourite apps to assist my blogging life. Since I loathe paying for technology, pretty much all of them are free. Hooray! As with most things relating to my blog, my phone is impeccably organised. My first screen is left empty so there's no clutter and I can see Kirby's cute little face. Then, on my second screen, I have my daily apps- those that I return to throughout the day. Messages, Camera, Photos, WhatsApp, Twitter & Instagram go without saying, of course. I prefer to reply to emails on my laptop but, for when I have no choice, I use the Gmail app. It has all the features of the Gmail site, with the ability to label and file emails, search for certain keywords, set up autoreply and so on. Analytics, the official Google Analytics app, is a really easy way to keep an eye on your stats thoughout the day. It tells you everything you need to know from active visitors, daily views, traffic sources and so on. However, it does tend to get buggy quite a lot so I have an alternative that I'll come to in a bit. Afterlight is the only paid-for app I'm featuring but it's well worth the 79p! This is not your basic photo editing app. You can choose from 50+ filters, edit the brightness, contrast, saturation etc, crop to your own size or one of the many preset sizes and add type. The best thing about Afterlight is the ability to create your own filter that you can save and return to in order to create a cohesive style across all your images. Perfect! My third screen features the apps that I use frequently but not quite as much as the others. I'm obsessed with Pinterest at the moment, so the app is perfect. 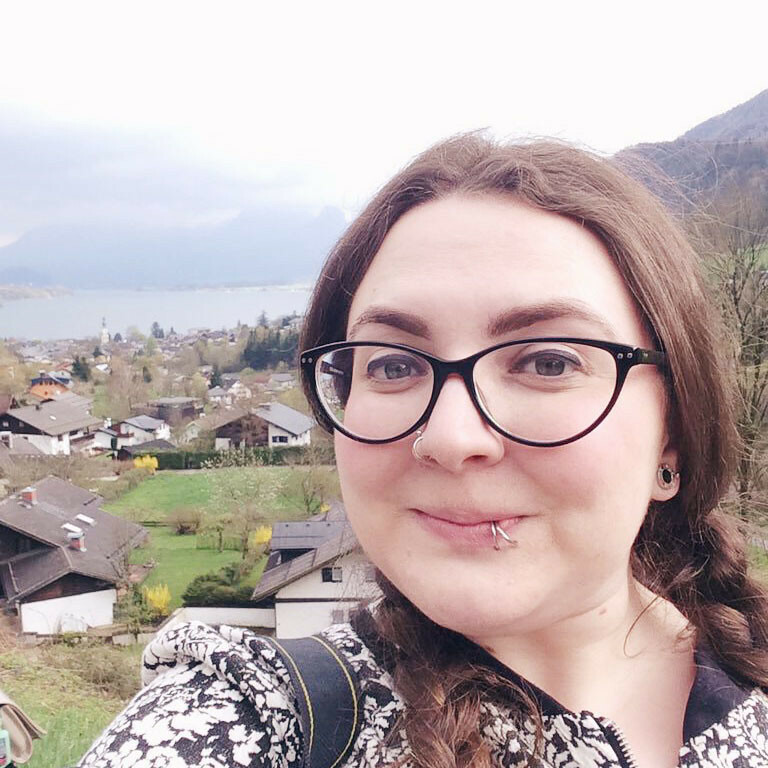 I can pin easily on the go (a lot of my pinning happens on the commute) and get lost in the picture-perfect world wherever I am though. Be warned though- It's very fond of giving you those annoying red notifications! WiFi Photo is an awesome app that doesn't get anywhere near enough credit. Using your wifi, you can really easily transfer photos from your phone to your computer. No cables, no plug ins. Just visit the website it gives you when you open the app and you have instant access to your entire camera roll. I travel a lot by train, not just for work but also for blog events, which are often in London. This makes The Trainline and Tube Map apps essential. I especially love Tube Map since, as well as displaying the familiar underground map, it also allows you to search for stations, plan your route and see the status of each line. Timehop is just a fun app that needs no elaboration and, although not relevant to blogging, Clue is a great app for tracking your period. The standard Calendar, Clock and Notes apps are handy for obvious reasons. I prefer using Hootsuite on my laptop but the app is useful when I'm not away from home. It allows you to schedule posts to Twitter and Facebook (although I'm a very infrequent user of Facebook) so you can still have an online presence when you're busy. Latergramme is a similar app to Hootsuite but for Instagram. Unfortunately it doesn't post to Instagram for you (and I'm yet to find an app that does), but it does allow you to line up and schedule your photos, giving you a notification when it's time for you to post it. This is helpful as I'm prone to forgetting, so having a notification to remind me makes all the difference! Earlier I mentioned that Analytics often gets a bit buggy, so I installed Fishead Analytics as back up. It's not much different but one benefit is that it shows you a line graph as your home screen, displaying your views over the past 7 or 30 days, whichever you prefer. I do love a line graph! If you use AdSense on your blog, the app is quite a nifty little thing. I only earn a few pennies a day so it's not exactly a necessity but it's still fun to open up the app and see how much I've earned each day. It also shows you how much you earned yesterday, this month so far and last month, with little statistics to show the percentage difference from last week/month, as well as displaying how much you've earned in your AdSense lifetime. Relaxing is a great app for background noise. I tend to use A Soft Murmur on my laptop because their coffee shop sounds are the best I've found, but Relaxing is similar. It's perfect for when I'm on a train and want to drown out the sounds around me. Finally, Snapchat is something I've just started using a bit more. I know it's a little "teen" but it's fun and I like sharing hideous selfies, knowing they'll disappear into nothingness (unless you screenshot them). If you want to add me, my username is, predictably, BeckyBedbug. 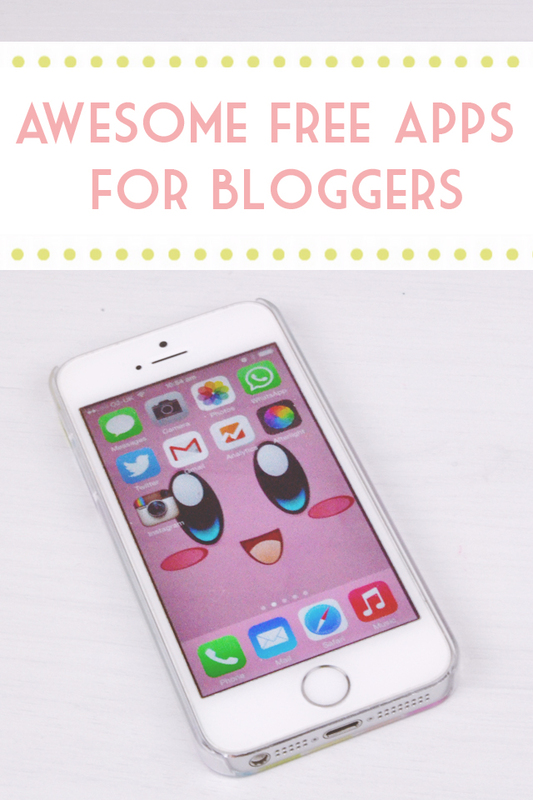 These apps are so valuable to me and make my blogging life so much easier. I'd love to know what your favourite apps for blogging are. Let me know in the comments! One of my favourite apps is the A Beautiful Mess app - you can add filters, text, and cute pictures and sayings to your pictures - I use it on about 75% of my instagram posts. 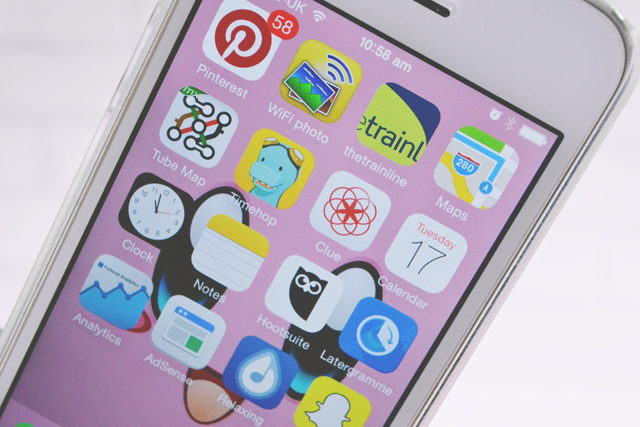 Just downloaded a couple apps because of this post, so fun to see what apps people have on their phones! This is a great little list. Afterlight sounds like a good bet. I'm on android and it can be frustrating as a lot of the apps I fancy are geared towards iPhones. I'm even working for an app at the mo that's Apple only! I didn't know there was an Analytics app! Thanks so much for this. Definitely giving hoot suite a try. I love the bloglovin app as its laid out a lot nicer than on the web. They've finally sorted out the bug for commenting via the app too! Ooh! May have to check out some of these apps!